Israeli, Greek and U.S. militaries are in an exercise in preparation for a possible war over Israel’s huge off-shore gas discoveries. Israeli, Greek and U.S. forces are in the midst of a drill in preparation for a possible war over Israel’s huge off-shore gas discoveries, which also may contain commercializable oil. Lebanon and Hizbullah have claimed the fields are in Lebanese territory and that they will "defend" the area against drilling by Israel. Joint exercises also will take place off the coast of Cyprus and at the port in Haifa, with the participation of the famed U.S. Sixth Fleet. The United States and Israel also are preparing for a massive “Austere Challenge” exercise this summer involving thousands of soldiers from both countries. 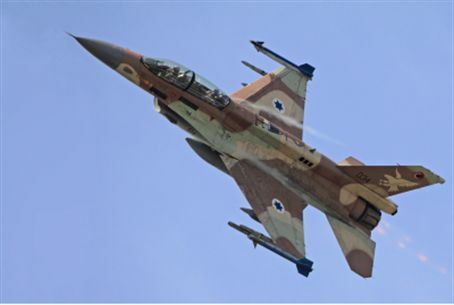 Last week, a one-day drill included Israeli soldiers operating the Arrow, the Patriot, Hawk, Stinger, and Iron Dome batteries defense systems, according to DefenseProfessionals.com. "The ability of the formation to bring together all the defense systems is amazing", said U.S. Army Col. Stephen Richmond, head of the 10th Army Air and Missile Defense Command. “I'm very impressed with the capabilities presented here,” he was quoted as saying. Russia is keeping a wary eye on the American-Israeli exercises and is staging its own war drill in a Syrian port, according to DEBKAfile. Russian Foreign Minister Sergey Lavrov warned this week against a pre-emptive strike, which he said would violate international law. A Russian guided missile destroyer reportedly sailed to the Syrian port of Tartus for an exercise with what DEBKAfile said is three-fold message for the United States that Moscow is supplying Syrian President Bashar Assad with defense systems, that the Russian and Iranian support of Assad will continue and that the deployment of the warship illustrates Moscow’s ability for a rapid response to foreign maneuvers.